Our highly qualified Building Surveyors can offer you advice and help on buying a property. 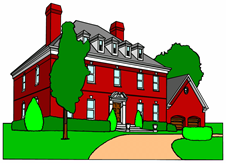 We carry out building surveys (also known as Structural Surveys), engineer's reports and home buyers reports. We also do Specific Defects Reports on such things as chimney problems, dampness, cracking and much more. We can also carry out Independent Valuations but please note these are not for bank lending but are to advise you how much we feel the property is really worth. Please free phone us on 0800 298 5424 and surveyor will call you back. All our surveyors are independent and are not attached to an estate agent, bank or building society. BBC radio programme did they get it wrong? We recently listened to a BBC radio programme that highlighted a manor house that had been brought in Durham for approximately a quarter of a million pounds from a local council who had been subject to an investigation to it being sold for too little money and had previously being going to be brought by a developer for over a million pounds. The story then went on to identify how the person that did buy it for a quarter of a million had committed mortgage fraud and is now in prison for six years. We do not know all the details for this case just that the issue of a property’s value that we wish to address. As in the very same week we have been looking at how to value a property, which seemed to be valued too low until you looked at it carefully. On the face of it this is a very understandable comment as repair issues do effect the value of a property and generally it is a very easy concept to understand if a value of a property is worth for example £100,000 for want of a better figure and the repair bill is £10,000 then in theory quite simply the property is worth £90,000. When people make an offer on a property that they are purchasing for a home or maybe for a new business the repair costs are relatively small and one would argue it hardly affects the value at all. Some estate agents would say that they included the repair works within the value of the property (how the average estate agent has done this, we will discuss later). What is the property really worth? Going back to the manor house in Durham story, we understand that originally the offer of £1 was made to the County Council because of the amount of repair work which was meant to be in the millions of pounds which was turned down. However, the rush now behind this we can see if you have a property that has a large liability particularly if the property has no longer any use to you we believe this was originally a school about five to ten years previously and been closed down in 2007 and effectively the council would have a redundant building with no use on the hands. We believe it has around 30 bedrooms and is a substantial property, larger than the average property of 125 m sq 3-bedroom house. So it could be argued it was a liability from what we understand it has been broken into and graffiti has occurred and vandalism. If you have a property problem and liability that has no use to you, what do you do with the property other than sell it? We feel that the council probably had no other option but sell the property. They could have developed it then had the capital and there is a need in one of the services they carry out. We can see why they initially started negotiations with developers to have housing built which fell through. Once these types of negotiations have fallen through you are then are in a difficult situation as you have a property that is deteriorating but you have a liability to keep it in good condition and equally you have to best manage the asset which could be by making it in to cash and then using it for something. There are very few people that will take on that sort of commitment. Where the banks wrong for lending the money? An interesting question is where the banks wrong to lend them the money. You could take one view that banks have lent money on a heritage property to someone they thought had money to do it up to save a piece of our building heritage. Equally you could say that he banks should have investigate the person requesting the mortgage much better and not have lent the money. Equally as came up in the radio programme fraud was relatively small compared with the fraud that was carried out by the banks during the crash of 2007 / 2008 and no one in the banking world went to prison. Should we be applauding the owner / builder who did the work rather than sending them to prison? Another thought is, should we actually be saying that it was a good job that someone stepped in and saved the building. So how do we value a building that has more repairs than over the market value? First of all, you have to look at what the open market value is and this is what the average purchaser would pay without any outside courses. From this figure some would argue you need to deduct the cost of building works and some would argue you need to deduct the value of building works. This is where value and costs are considered very different. You normally define the cost of something as what it physically costs so we could for example want to add double glazing to our property and costs £6,000. This could have a great beneficial and benefit to the selling price as the windows were in poor condition. Equally if every other property in the road already had plastic windows it would simply bring the property to the market at the average price. There are some alterations and amendments that can make to add more value then they cost. We have found over the years that a bathroom upgrade can add more value than it cost as bathrooms have generally got better and come down in price. Equally a kitchen can also cost less than the value to add value to the property. This is the sort of equation that you are carrying out when you are looking at building work needed to a property particularly as in this case when it is a Grade II Listed building. Grade I buildings are considered to be those that are of exceptional interest. Grade II* buildings are considered to be particularly important buildings of more than special interest. Grade II buildings are considered to be of special interest, warranting every effort to preserve them. It does get to a point where the repair work is so great that you simply do not want to hold the liability anymore. For example; we are sure that we have heard of piers (think of all the rusting arm work in the sea that has been there for a hundred years or so) in the past, this is peers that are at the coast being sold on for a pound and other buildings being sold on for a pound where the liability is too great. We have been on the internet for a long, long time and know that there is a lot of choice out there and would emphasis you use your common sense and have a look at examples of Surveyors surveys before you buy. Double check the Surveyor has the right experience and knowledge of a structural survey and the property problems that you have. We are more than happy to email you several examples of our tailor made reports that we have carried out on similar properties although we do appreciate that all properties are unique. We really believe that you should see what you are getting in the form of an example Survey. What is more is that we are so confident with our higher than average standards that we believe that there is no other comparable survey available in the UK property and surveying market. All rights are reserved the contents of the website is not to be reproduced or transmitted in any form in whole or part without the express written permission of www.1stAssociated.co.uk. providing free property articles for over ten years. All for free and to help you with buying your next property. Building Control, what do they do? Valuations and how much is the building worth? Woodworm is it a problem or not? Is it active or not? Dilapidations Help and Advice What is a Dilapidations Notice? Energy Saving what can I do? Insurance how do I get the correct property insurance? Property Investment how can I invest in property? Weather how does weather affect my property? First Time Buyers how do I go about buying my first house and home? How old is your Building? Which era was it built in?